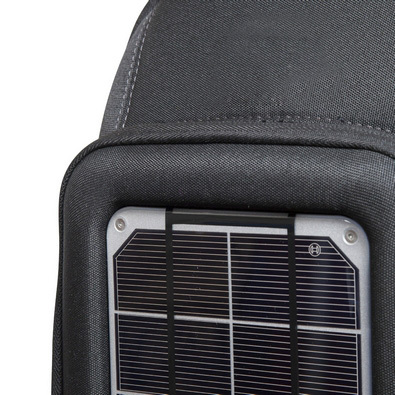 A 3.4 watt monocrystalline solar panel generates power in sunlight. They are waterproof, lightweight, and built to withstand abuse. Charge times: 6 hours in the sun fully charges a typical phone, 1 hour provides about 75 minutes of talk time. 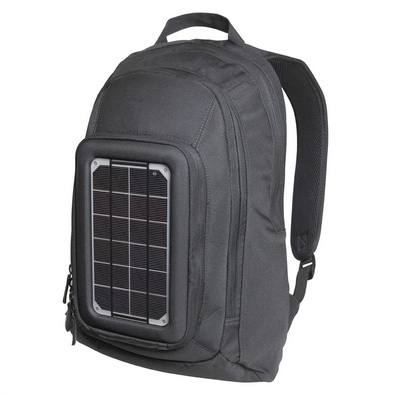 Included battery charges efficiently from solar and stores power for use anytime. 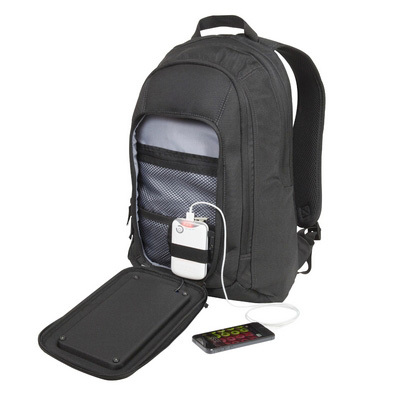 When not in the sun, it can be charged using the USB Power Cable or optional AC travel charger or DC car charger, making it just as useful on the grid as off. 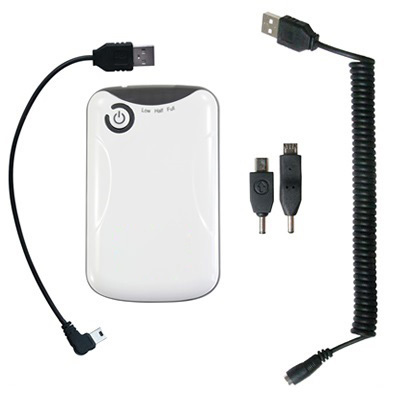 Charge devices from the USB Port using your own cable or the included Micro USB and Mini USB adapters. Charge Display: LEDs light sequentially when charging. Volume: 970 cubic inches (16 liters), enough room for a laptop and gear for a day trip. 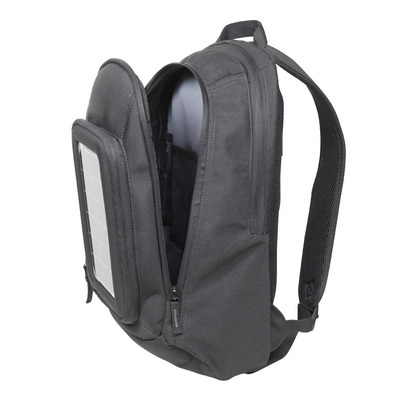 Storage: One main compartment with 2 interior pockets, laptop sleeve and front pocket for charging and small electronics. 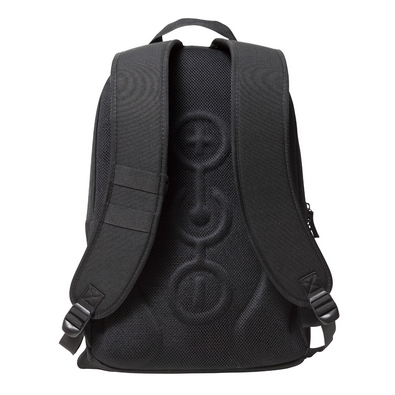 Fabric: 600D shell made from recycled PET (soda bottles),which is waterproof, lightweight, and UV resistant.